NSSLGlobal has unveiled the latest addition to their maritime portfolio, FusionIP-LITE. FusionIP-LITE is specifically engineered for the Asian seas. For a single monthly service fee, FusionIP-LITE allows users to benefit from seamless automatic switching between cellular and satcom networks to ensure “always-on” connectivity with speeds of up to 40 Mbps. This NSSLGlobal solution also incorporates automatic WAN switching, an email service, core firewalling, eNOAD and file management/synchronization capabilities, all at no additional cost. NSSLGlobal’s FusionIP-LITE service uses a single 3G/4G/LTE SIM which is capable of delivering high-speed bandwidth up to 20 km. offshore — with download speeds of up to 40 Mbps — making it ideal for leisure, fishing and commercial vessels. 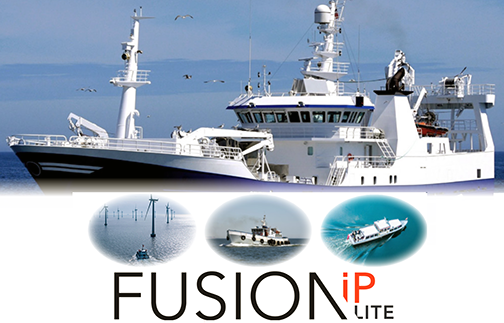 FusionIP-LITE will help busy vessel operators passing through the coastal waters of several countries to benefit from the high-speed of cellular with the service assurance and coverage of satellite, all without changing multiple SIMs or dealing with a variety of providers and bills. FusionIP-LITE also uses the new Iridium Certus Next constellation as a failsafe guarantee of “always-on” connectivity when outside of cellular coverage providing speeds up to 704 kbps*. The great benefit is that the customer pays the same price no matter what network they use. Priya Patel, APAC Regional Sales Director, NSSLGlobal, said since its launch in late 2017, FusionIP has been a phenomenal success and firm customer favorite, but its deployment has been limited to European coastal waters. The company can now expand the FusionIP suite, as this service is based around the firm's in-house engineered products. This enables NSSLGlobal to deliver solutions that are practical and rapidly bring them to market. Now with FusionIP-LITE, vessel operators in Asia can also benefit from safer, smarter and more efficient operations thanks to the power of always-on communications.